Attorney Christeson is a network attorney for ARAG legal insurance. If you are a plan member, call ARAG today for preapproval and a case assist number. 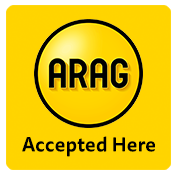 ARAG pays for your legal documents.